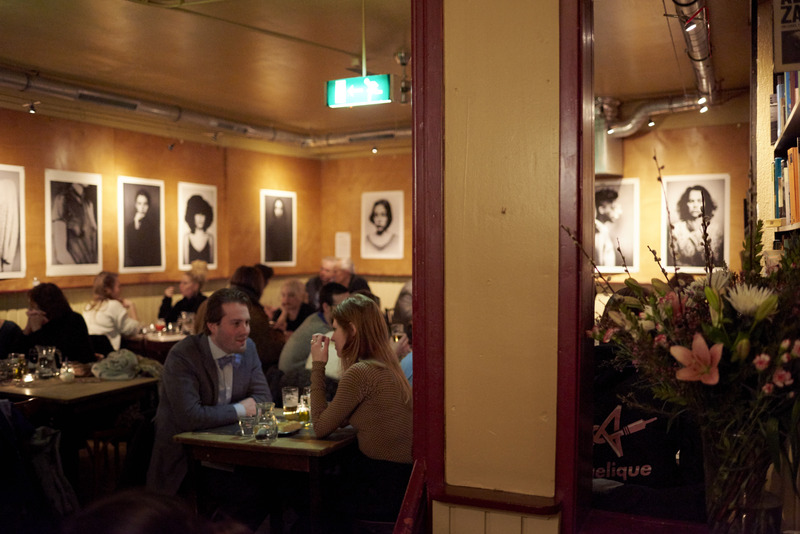 The Engelbewaarder is a literary café, situated on the ground floor of a canal house on the beautiful Kloveniersburgwal. 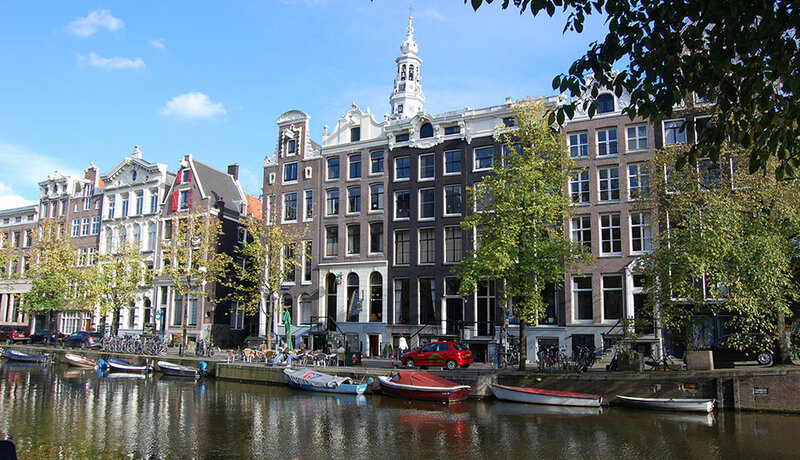 It is located opposite of the Compagnie Theatre, on a street between the Nieuwmarkt and the Rembrandtplein. 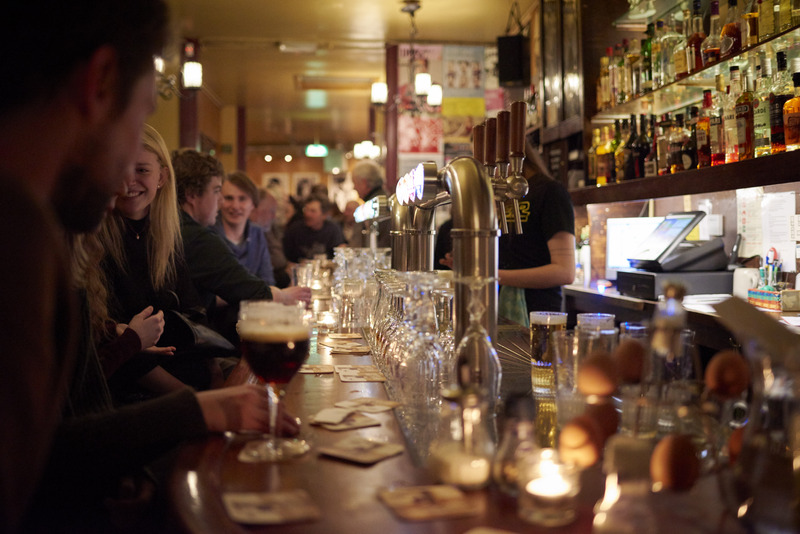 We have 20 brands of beer on tap, including two non-filtered beers: Palm and Oude Lambiek Boon. The menu changes daily, offering surprising dishes for fair prices. Students and reporters, craftsmen to artists, tourists and locals, the café appeals to all and draws in a diverse crowd, both young and old(er). Collaborating with the photo agency Hollandse Hoogte (‘Dutch Heights’), we offer ongoing photo exhibitions. Every Sunday afternoon, there is a live jazz band, conducted by Jacko Schoonderwoerd, Victor de Boo and Leo Bouwmeesters. Open seven days a week. Offers a waterside terrace where guests can easily dock their boat.